Just as promised at the iPhone 5 announcement event, Apple made the smartphone available for pre-order from its website today. 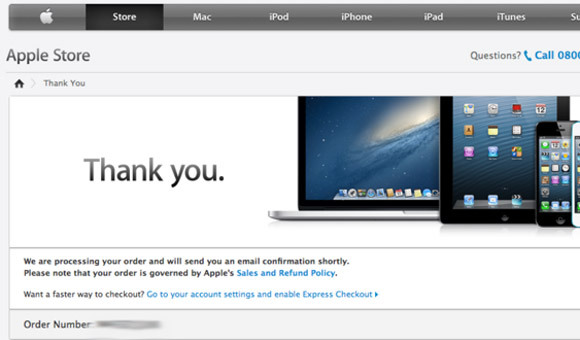 If you live in the US, you'll also be able to book your Apple iPhone 5 directly from Verizon and AT&T. Initially, only users from US, UK, Canada, Australia, Japan, Hong Kong, Singapore, France, and Germany will be able to make a pre-order, with many more to follow once the iPhone 5 is released. If you have decided to jump on the early iPhone 5 bandwagon, you should expect your new smartphone to arrive on your doorstep on September 21. However, stock seems to be running low already and in many regions the Apple's website is showing an estimated shipping in two weeks. iPhone isn't a game changer anymore. The coming Nokia Lumia 920 is innovation. The iPhone 5 has nothing over the Lumia 920.